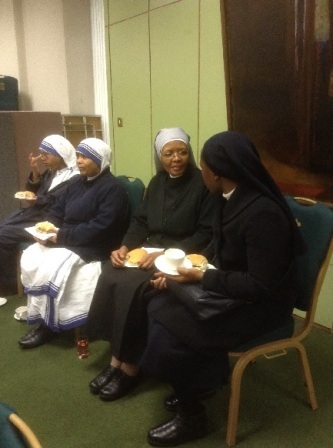 About seventy Sisters and Brothers from different Religious Communities in the Archdiocese of Glasgow, Scotland made their way to St Andrew's Metropolitan Cathedral Glasgow, to share Eucharist on the feast day. 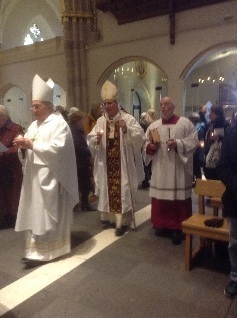 Archbishop Philip Tartaglia was the principal celebrant while Mario Conti, Archbishop Emeritus presided. 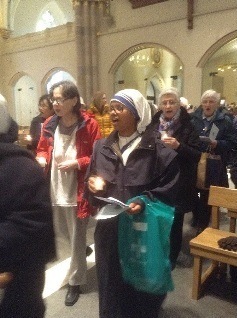 The Liturgy was meaningful and was that of the feast , beginning with the procession of the faithful, carrying lighted candles, symbolising Christ the Light of All Nations. 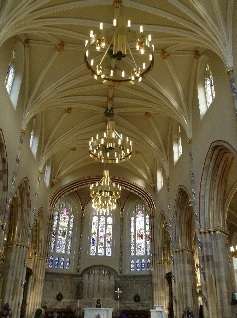 During his homily the Archbishop thanked all for their service and dedication to the Archdiocese. as we serve the Church in Scotland. 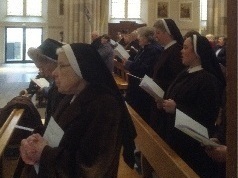 For Sisters of Notre Dame de Namur this day is very significant ... In 1804, on 2nd February , the Feast of the Presentation , the institute was founded as Julie Billiart, Françoise Blin de Bourdon and Catherine Duchatel consecrated themselves to God, and promised to devote their lives to the education of the poor. 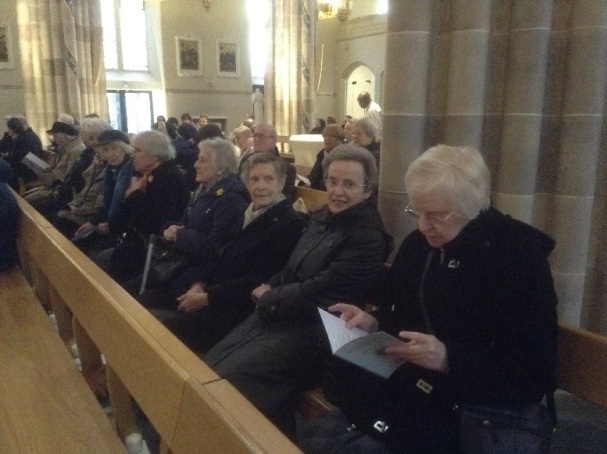 As the feast was also known as the Purification of Mary, they decided to call themselves 'Sisters of Notre Dame' .